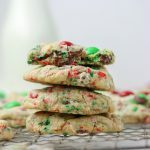 These M&M Christmas cookies are an easy cookie recipe to add to your cookie platter this holiday! 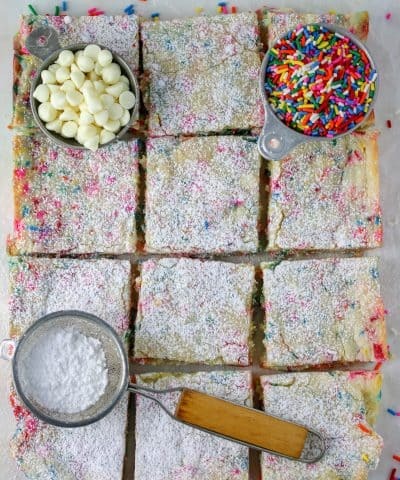 With sprinkles, chocolate chips and M&M’s, I know everyone is going to love these! So it begins. Christmas cookie baking season. Get that apron ready. And don’t forget the sprinkles. Baking cookies has always been a way for me to show the loved ones in my life how much I love them. Especially around the holidays. This year, I wanted to created a cookie that I know my #1 taste tester would just love. He is always helping me in the kitchen with this blog, and with zero complaints. Maybe it’s because he is a good guy. Maybe it’s because he knows he will be rewarded with cookies in the end! Either way you can imagine how grateful I am. Hence this cookie recipe. He is a big fan of cookies, especially those with M&M’s. So I knew this would be a huge hit in his eyes. And I was right. And who am I kidding it was a huge hit with me! These cookies start with a classic chocolate chip cookie recipe. 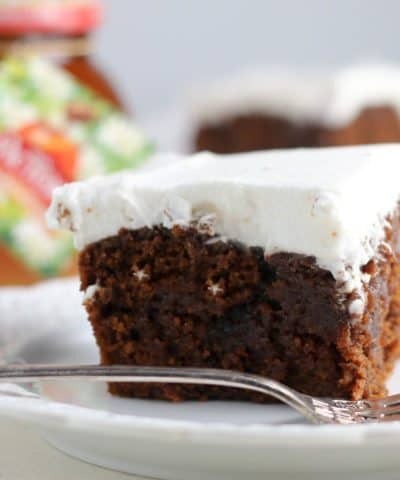 You want to start by whisking together the all purpose flour, baking soda, salt, and cornstarch. In your stand mixer cream together your softened butter and sugars. Then add in your room temperature egg and vanilla extract. Once that is all incorporated, add in the flour mixture. Be sure to mix just until combined. Then stir in the M&M’s, sprinkles, and chocolate chips. Oh yes these are chock full of all the fun stuff. We aren’t messing around this holiday season. Then using a cookie scoop, scoop cookie dough onto a cookie sheet lined with parchment paper or a silicone baking mat. Be sure to measure your flour accurately. Flour can get packed down so be sure to fluff it up, then scoop the flour into your dry measuring cup and level with a flat edge. For best accuracy, use a kitchen scale. You can read my super nerdy post on how and why to measure your flour accurately here. You want a room temperature egg so its easily incorporated and doesn’t seize up the softened butter you just creamed. Let the egg sit out for at least 30 minutes before using it. Or use my trick – put the egg in a bowl of warm water for 10 minutes before using. Use a cookie scoop to ensure that all cookies are the same size. This will ensure they all bake evenly and you get the correct yield. 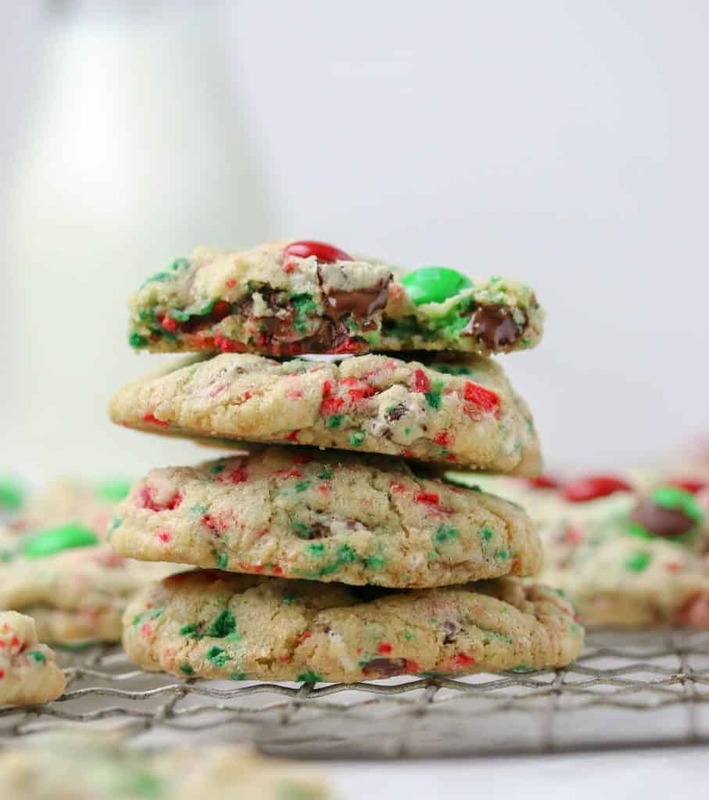 For pretty cookies, place 3 M&M’s right on top of each cookie dough ball before baking. 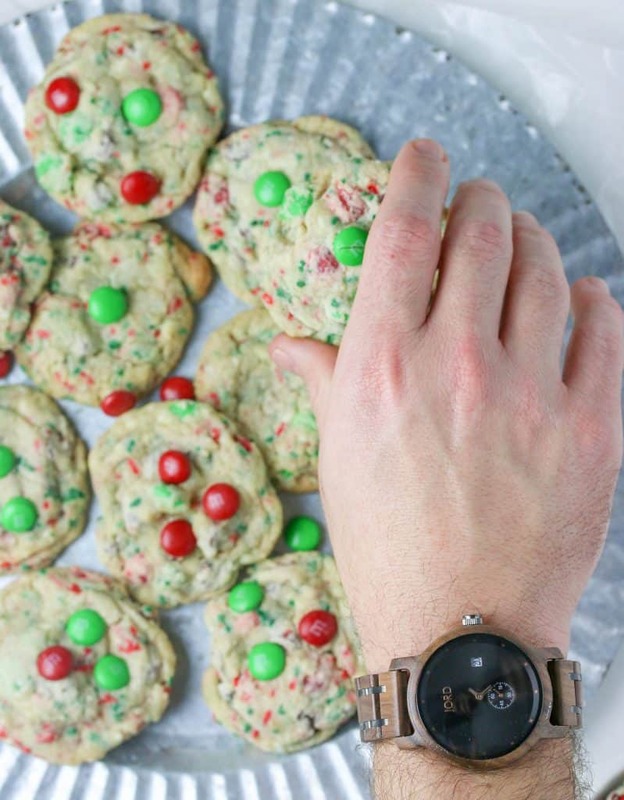 But this post isn’t just about the cookie it’s also about these gorgeous watches from Jord. Of course, since it’s the holidays that means I also try to get him a gift he will absolutely LOVE and use. That’s why I decided to get him a Jord watch. 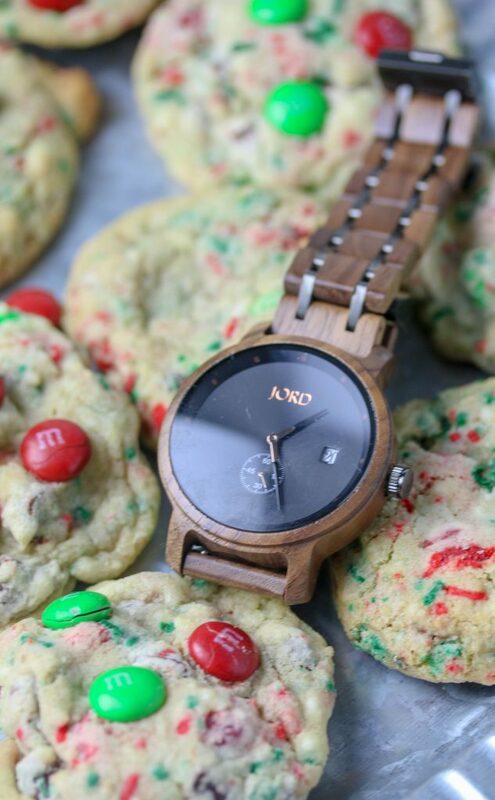 Jord watches are made from 100% sustainable wood. My #1 taste tester is always willing to run and help me take photos. Sprinkle that sugar. Hold that tray of cookies. You name it, he is willing to help me. So I thought wouldn’t it be a great way to say thank you by getting him one of these watches for Christmas? Of course you can get one as a gift. Or get one for yourself. I mean, heck what a gorgeous way to time the creaming step when making these cookies am I right? So I collaborated with Jord watch to also bring you a chance to win a $100 discount on one of these watches. How amazing would that be to get one of these beauties for a $100 off? So let’s make some cookies. And let’s do so in style. Christmas is almost here. Are you ready? I know I am. 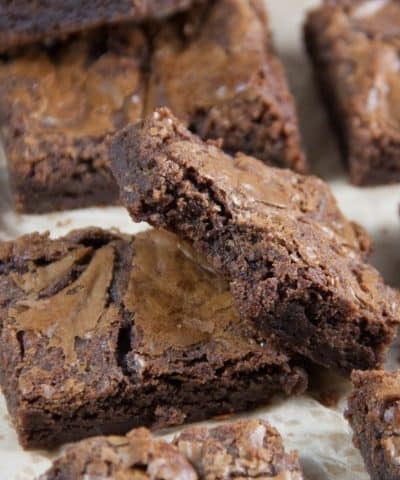 Yes you can freeze them baked or unbaked. Check out my post on how to freeze cookie dough. I also created an entire guide on how to freeze desserts that will show you how to freeze anything- baked or unbaked. 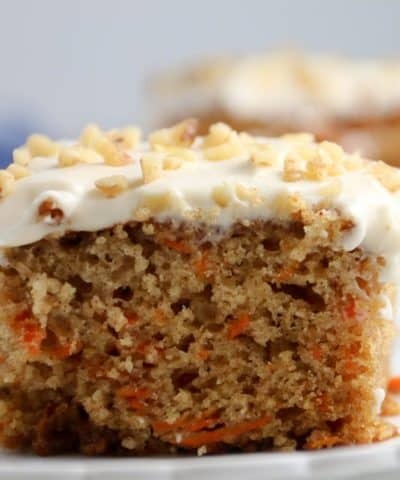 Get The Freezer Baking Guide Here! For more cookie recipes check out these recipes! 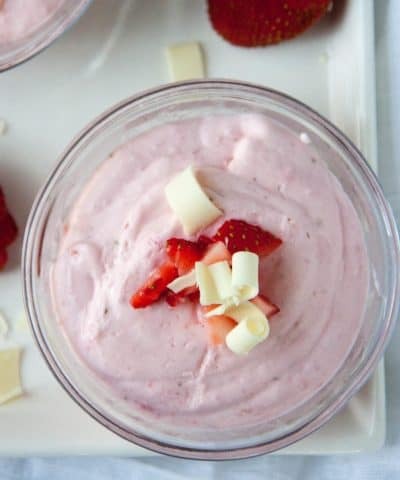 If you like this recipe and try it, then be sure to leave me a comment and star rating! I love hearing from you! 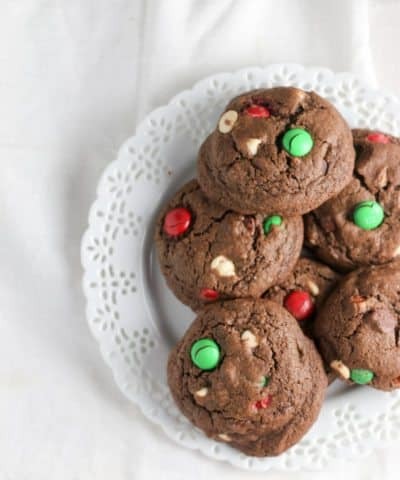 These easy M&M Christmas cookies are the perfect cookie recipe to add to your cookie platter this holiday season! Preheat the oven to 350oF/180oC and prepare two cookies sheets with parchment paper and set aside. In a mixing bowl, whisk together the flour, cornstarch, baking soda and salt. 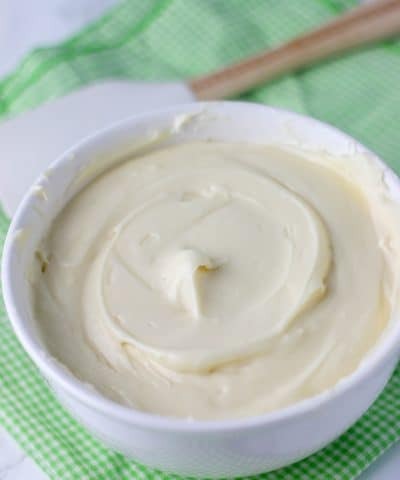 In the bowl of a stand mixer with a paddle attachment (or you can use your hand mixer) cream together the butter and sugars until light and fluffy about 2 to 3 minutes. Add in the egg and vanilla. MIx until combined. Add in the flour mixture and mix just until combined. Stir in the chocolate chips, sprinkles. and M&M candies. Scoop using a small cookie scoop onto a cookie sheet, leaving about 2 inches between each cookie. Bake for 10 to 12 minutes until puffy and set. Cool on a cooling rack. You want a room temperature egg so its easily incorporated and doesn't seize up the softened butter you just creamed. Let the egg sit out for at least 30 minutes before using it. Or use my trick - put the egg in a bowl of warm water for 10 minutes before using. 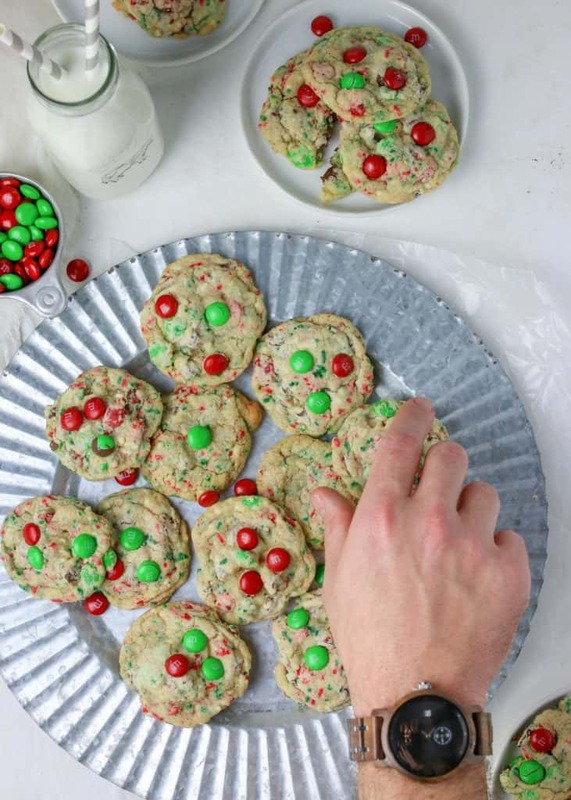 For pretty cookies, place 3 M&M's right on top of each cookie dough ball before baking.